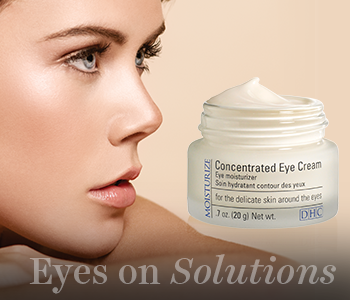 Target areas of concern with the restorative formulas of the DHC Eyes, Lips and Neck collection. Keep your neck looking youthful and toned, brighten and revive the eye area and enhance and condition your lips with the wide range of high-performance products. With formulations that are optimised for the more delicate area of your skin, the range will ensure that your skin remains youthful and radiant for longer.